Fikayo Tomori challenges in the air at Rotherham. Photo by Jez Tighe. Rotherham were direct and predictable but it worked, Ryan Manning's second-half penalty enough to earn them the points although even that was controversial. Derby's patient approach didn't wash with the Millers, who didn't allow the Rams time to play their usual game and that led to irritation on the part of many of those who had travelled north. 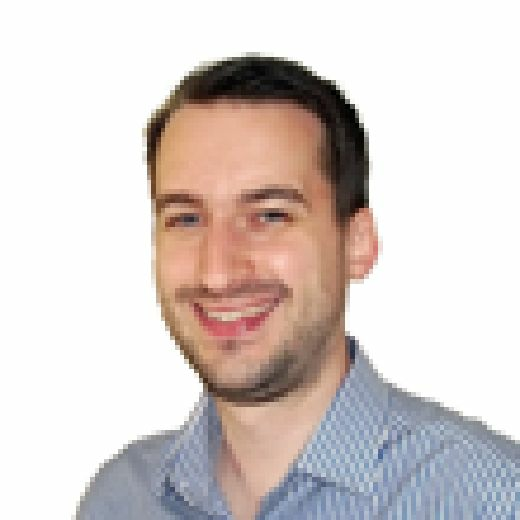 It will go down as another harsh lesson learned by Lampard and his young squad, Derby's poor record at Rotherham's relatively new stadium continuing. Mason Mount had a speculative effort go straight into the arms of keeper Marek Rodak in the first 30 seconds as the Rams began brightly, before Rotherham had a good opening ten minutes in when pinball in the defence led to Michael Smith dragging a shot just wide of Scott Carson's right-hand post. Richie Towell was next to show on 19 when his low effort was straight at Carson, the hosts asking more questions of the Rams than vice-versa early on. Mount then had a crack from 25 yards but Rodak gathered, albeit at the second attempt after he spilled the initial effort, that coming after a spell of brighter attacking play from the visitors. Huddlestone was even closer from distance moments later, as after being teed up by Lawrence his pile-driver was pushed wide by an airborne Rodak for a corner. The game was coming to life and Smith forced Carson into another save on 29, then Richard Wood headed down and wide from a long throw. Eight minutes before the break, a Rotherham corner then found Towell at the back post and he volleyed well but Carson pushed the ball over the top, before Smith was just wide after a Ryan Williams knock back. The Rams were struggling to create, Lawrence firing straight at Rodak from a slight angle on 42 minutes, but the half-time whistle blew with Paul Warne no doubt the happier of the two managers. The Millers had the first of the openings in the second-half, Vassell's fine volley pushed away well by Carson before Derby cleared for a corner. Things then took a lively turn on 58 minutes when Derby were reduced to ten men. A fair tackle by Martyn Waghorn upset Rotherham, but what followed was then a late and unnecessary tackle by Lawrence on Towell that saw tempers boil over and Lawrence rightly sent off. Joe Mattock then saw yellow for a late challenge on sub Mason Bennett that most of the Rams present felt should have seen a similar punishment to Lawrence's, then Bradley Johnson was inches away from Bogle's floated cross as the Rams fought back with vigour. 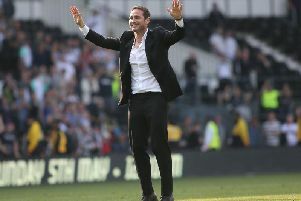 The Rams felt they should have had a penalty when a Bennett cross hit the hand of a Rotherham defender, a point made too vigorously by Lampard who wandered 30 yards down the touchline to argue with the assistant referee and referee Bankes seemingly couldn't get his red card out quick enough to send Lampard to the stands. That saw much of the remaining fight the Rams had left evaporate as they then struggled to put as much pressure on in the closing stages, only Mount's injury-time free-kick threatening the goal as it floated just too high, the Millers holding out for a hard-earned and scrappy victory. Subs not used: Price, Forde, Palmer, Wiles, Jones.